You see them flying in parks and open areas, and they seem like harmless fun here in Southern California. Drones are the latest fad for engineer-minded folks who like building and flying machines. Until now, they have remained a niche hobby. But all that is poised to change. Drones are about to become a part of our daily lives, whether we are ready for them or not in San Diego. To many people, drones are synonymous with military technology, but to thousands of hobbyists around the country, they are a fun and mostly harmless pastime akin to remote-control airplanes. With drone technology advancing rapidly, it won’t be long before these flying devices will be transforming the way we live our lives. In 2016, Amazon made its first drone delivery in the UK. Since that time, nonprofit organizations and NGOs have been testing drones to deliver a myriad of services, from bringing cell reception to remote regions, to monitoring refugees, to providing emergency medical supplies and relief aid. They have had a measurable impact on fighting poachers in Kenya, for instance. Here in the United States, drones, also known as unmanned aerial vehicles (UAV), have tremendous potential to change the lives of people living in rural areas, who don’t have the same kind of access to goods and services as urban residents. They can also be used to save lives. For all the good that drones can do, the truth is that they also pose many risks. First of all, they are a safety threat. When operated by inexperienced fliers, or when poorly made, they are liable to fall out of the sky unexpectedly. More advanced UAVs have automatic shutdowns that will force them to land before they run out of battery, but not all drones have this safety feature. Moreover, even those that do are still susceptible to engine malfunctions that can send them spiraling out of control. When drones are operated in busy areas, such as parks or outdoor festivals, a malfunction can send a drone down on top of somebody’s head, causing serious brain injuries. Perhaps even more frightening, flying drones in restricted areas can pose safety risks, and in some circumstances, a threat to national security. Two high-profile cases from the past few years were just that. In 2014, a drone crashed in front of German Chancellor Angela Merkel as part of a protest and, in 2015, a drone crash-landed on the White House lawn. In these instances, no one was hurt, but the potential for disaster remains. One of the most threatening scenarios involves a drone flying in restricted air space. UAVs are forbidden around airports, but nothing is stopping a rogue flier from doing that. In 2014, a helicopter-style drone nearly collided with an Airbus 320 taking off from Heathrow Airport in London. It’s not hard to imagine an accident occurring here in the U.S., whether an intentional act of terror or somebody merely being reckless. Drones are already extremely popular in San Diego and the neighboring suburbs, and they are bound to become more so in the coming years. As the number of drones increases, accidents and injuries will surge as well. Whether the UAV is operated commercially or privately, if you or a loved one is injured by a drone, it’s imperative that you consult with a lawyer right away. Drones are operated under a mixture of local, state, and federal regulations, including some laid down by the FCC, which can define sections of airspace that are off-limits. Whether or not a drone was in a legal zone, other factors must be considered. For instance, many accidents occur because of poorly designed or repaired parts. It’s important to know whether the drone that injured you was home-built or commercially made. The vast majority of mistakes come down to human error. If the operator was flying the drone in a reckless manner, he could be found liable for your injuries. 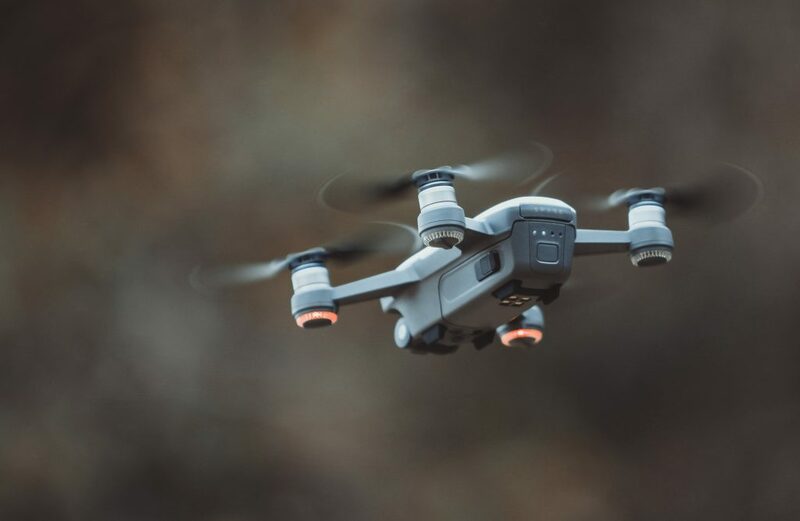 If you have any questions about an injury you suffered because of a drone, contact Jurewitz Law Group today at (888) 233-5020 to schedule a free consultation. We keep up with the latest regulations and personal injury law so you don’t have to.